Just before Christmas I went to a beauty blogger event and discovered that most of the people there considered themselves more as make-up bloggers than skincare bloggers. I was totally astounded to hear that some of them had never tried Boots Protect & Perfect serum! Here's why I think it is an essential beauty item. 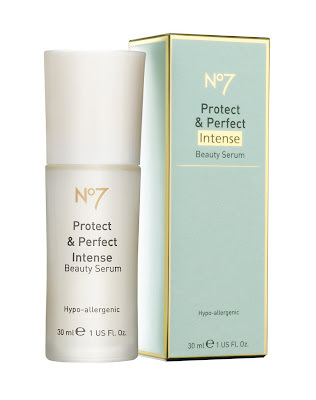 When the Boots Protect and Perfect range was launched there were waiting lists for their serum, it was so popular. The reason why is easy – it was the only facial skincare product ever to be proven to reduce the appearance of fine lines and wrinkles. A number of other products have come along since and I'm sure they're all equally as effective but I have a soft spot for the Boots Protect and Perfect Intense Beauty Serum. The serum is a very light lotion dispensed by a pump. It is ever-so-slightly greasy in a way that leaves your skin feeling silky to touch. You use a tiny amount on your face, particularly around the sides of the eyes and the mouth and then you put your normal moisturiser on over the top. You don't need to be old and crusty to use an anti-ageing product like this. I've used anti-ageing products since my mid-twenties as a preventative action! 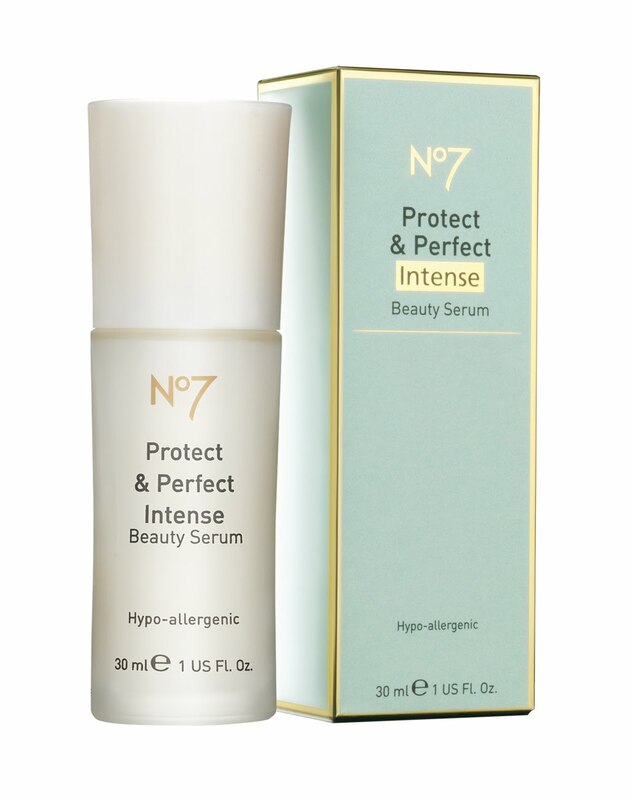 And anyway, the effect of the Protect & Perfect serum is more than just line-reducing, its a general improvement in appearence. When I first used the serum, I noticed the effect after a matter of days but the label suggests it could be more like 4 weeks before people start to notice. The effect that I notice is a levelling of the skin – a general evenness that is absent without it. There are times when I don't own a bottle of Protect & Perfect and then, I really do miss it. I've no idea how I could ever measure whether the lines on my face were less when I'm using this product, but I do know that I notice a difference. I don't care if other people don't notice – it's about me feeling good. In the mornings, if I've used the serum over night, then I can still feel that silkiness when I wake. If I use it in the mornings before I go to work (which, actually, I rarely do), then I can feel the 'goodness' all through the morning. I've tried some of the other products in the Boots Protect and Perfect range. I quite like their night cream but I wouldn't say that it was world-beating (which I would of their serum).